A sleek collection that exudes urban sophistication. Tuxedo is a hand drawn system that operates draperies in one-way or center draw directions by baton. An abundance of finely crafted finials personalize windows that reflect your client’s own unique style. Finial materials include textured tortoise, translucent acrylic, hammered metal, dimpled wood, textured beechwood, smooth onyx, striped ivory, and steel. Something for everyone! Make a modern statement by pairing steel pieces with like steel, or create contrast and warmth by mixing steel and dark beechwood. 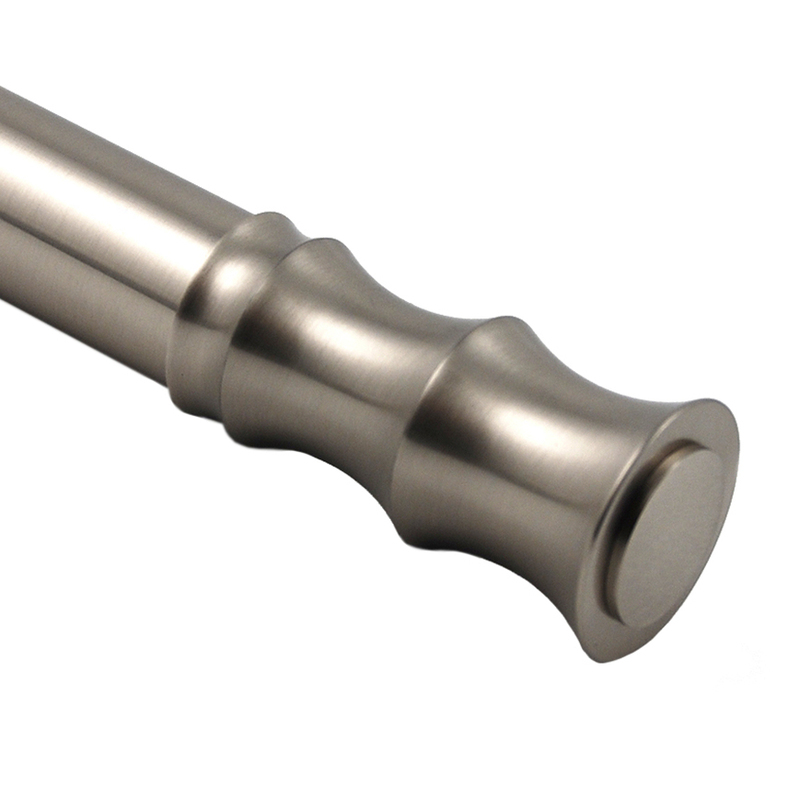 If needed, Brimar has the ability to custom bend your Tuxedo poles. Choose from Bow, Compound Bow, Bay, Compound Bay and 90⁰ Bay configurations. By applying Tuxedo return brackets, the pole recedes directly to the wall for a polished look. Ideal for commercial or residential projects.